AFRICANGLOBE– William Michael Cunningham says the Black community has a tradition of “passing the hat” to collect donations when a friend needs financial help. 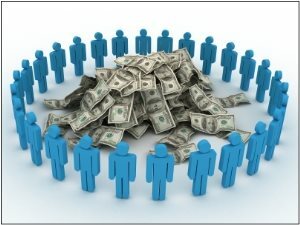 That same custom guides BlackCrowdfunding.net, a Web site Cunningham has created where Black entrepreneurs can raise money to start businesses. It’s one of many initiatives underway nationally, including several in Washington, that aim to harness the potential of crowdfunding to benefit women and Black entrepreneurs. For a variety of reasons, these groups have often struggled to tap more traditional financing mechanisms, such as bank loans and venture capital. Cunningham said that fact was compounded during the economic downturn as many Black families lost wealth when home values soured and unemployment climbed. Crowdfunding presents a more promising option, he said. It allows an entrepreneur to raise money for his or her start-up online by collecting small investments or donations from a large number of people. “The idea is that crowdfunding is a tool that can be used to get resources to low to moderate income communities in a way that we haven’t seen before,” Cunningham said. Cunningham will lead a four-week class on crowdfunding at the D.C. Hive, an entrepreneurial hub in Southeast D.C., beginning this week. He said the course will culminate with participants posting their ventures on BlackCrowdfunding.net.